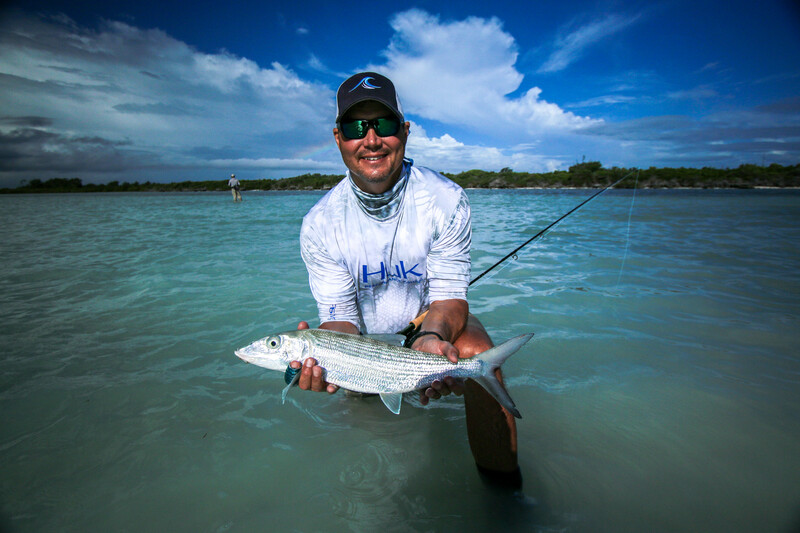 Astove continues to impress with its variety and is know as a wild, remote destination that is perfectly suited to small groups. 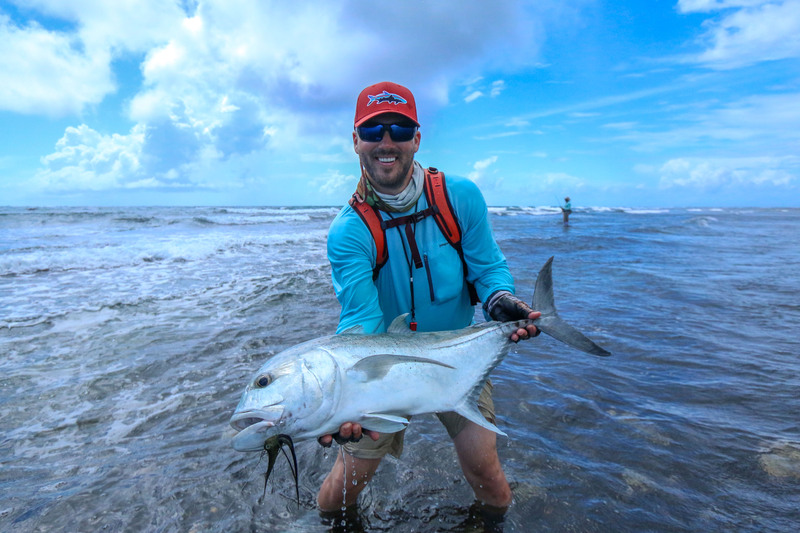 Besides the amazing bonefishing inside the lagoon and its healthy population of GT’s, it’s a destination where visiting guests have a shot at catching a wide array of species. 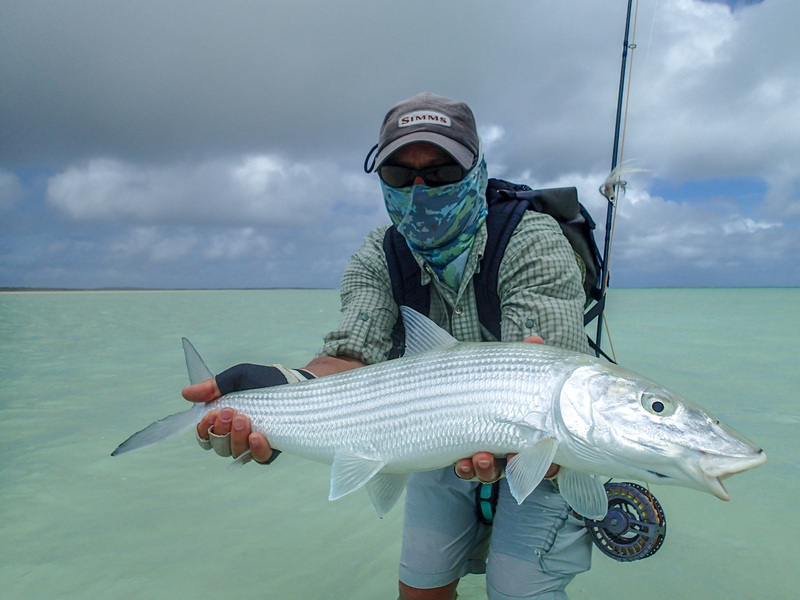 The tide often plays a role with regards to target species with neap tides more conducive to Bonefish and Permit, and spring tides to GT’s, Bonefish and Triggerfish. 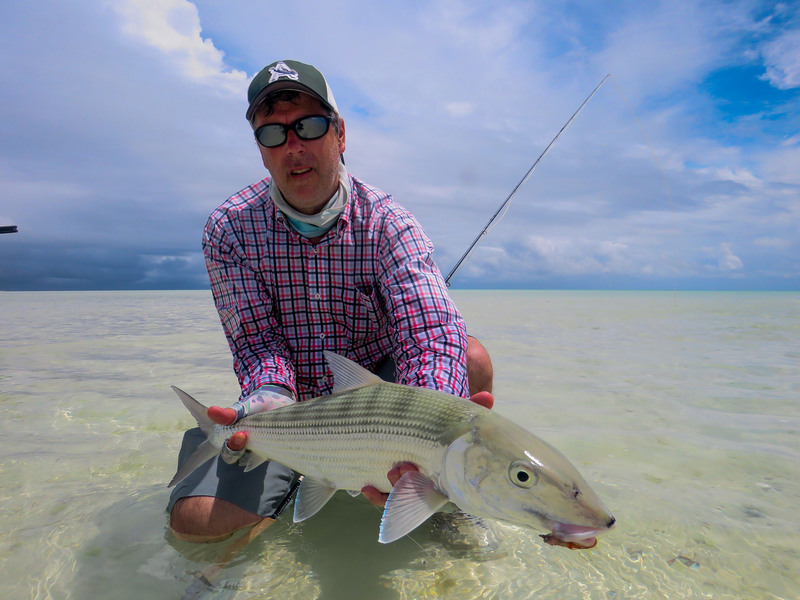 The first half of the trip was met with some really challenging weather conditions. 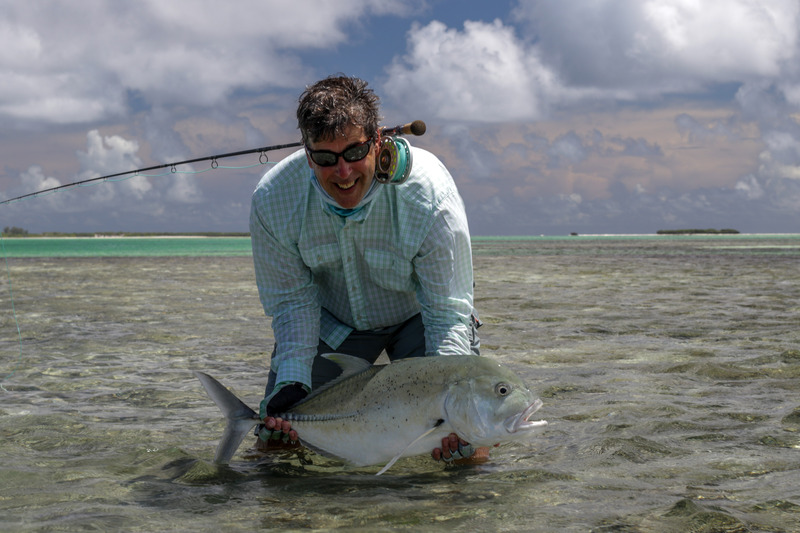 A slow moving neap tide in the beginning meant a majority of the time was spent at “The Mouth” as well as various high spots on the outer flats. 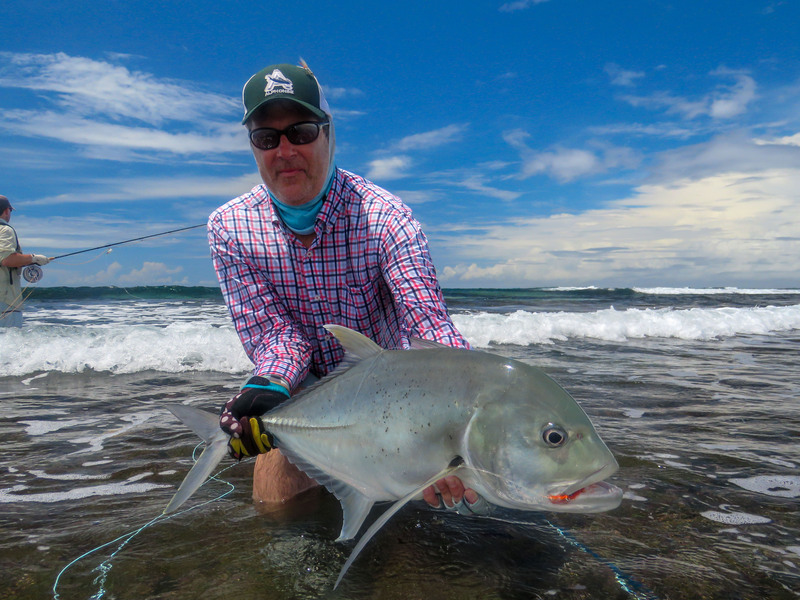 Some really big GT’s were seen but unfortunately through all odds they managed to avoid the fly. 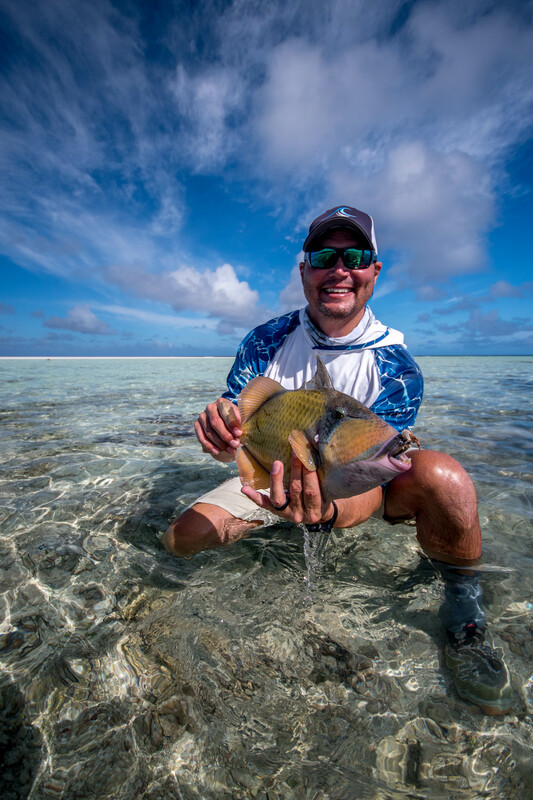 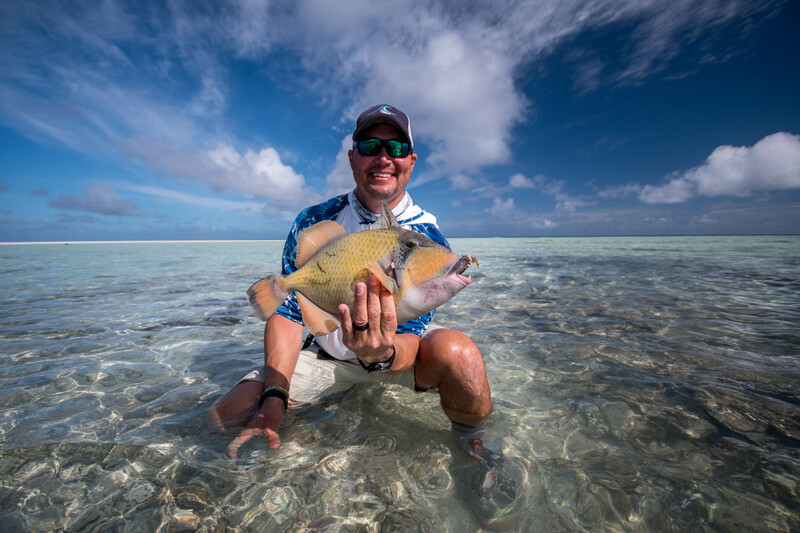 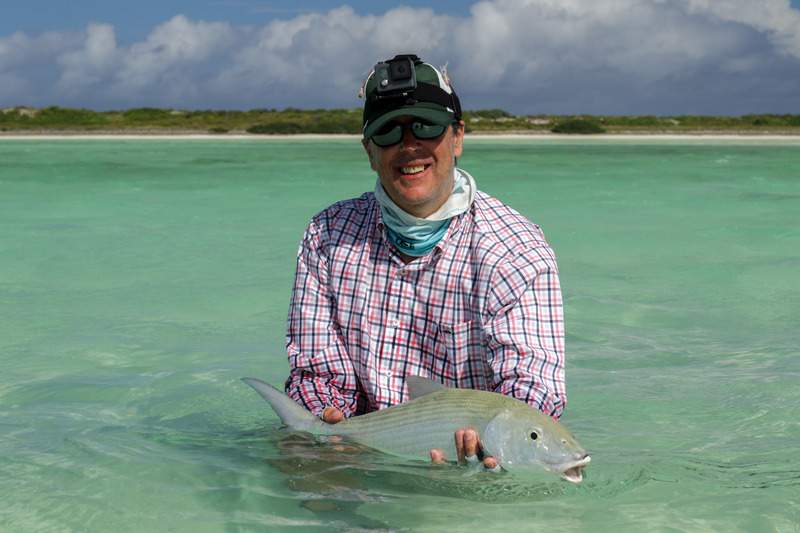 Even with the challenging weather our guests managed to catch 19 GT’s in the first four days, a pot load of Bonefish and one Moustache Triggerfish. 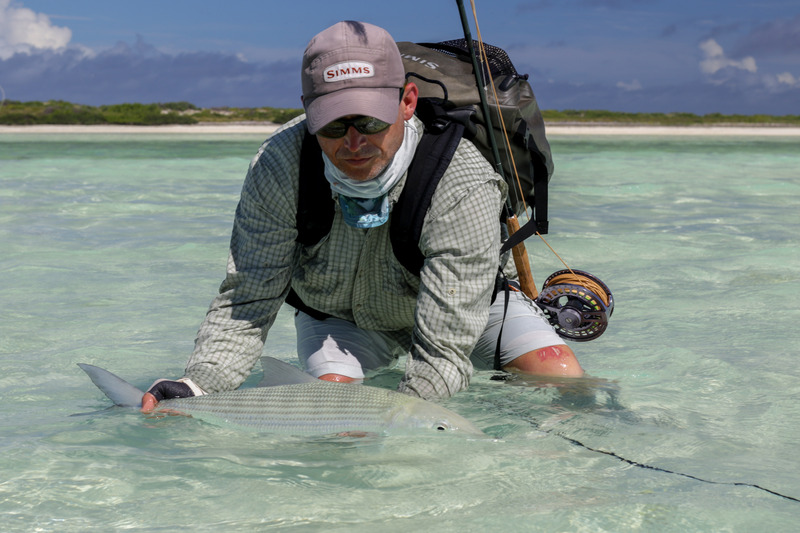 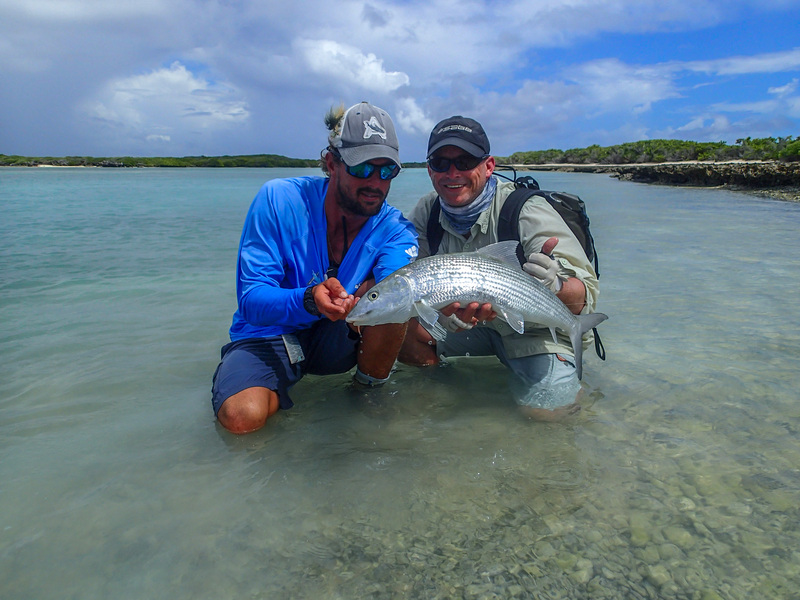 The second part of the week was focused more on Bonefish, Triggers and Permit. 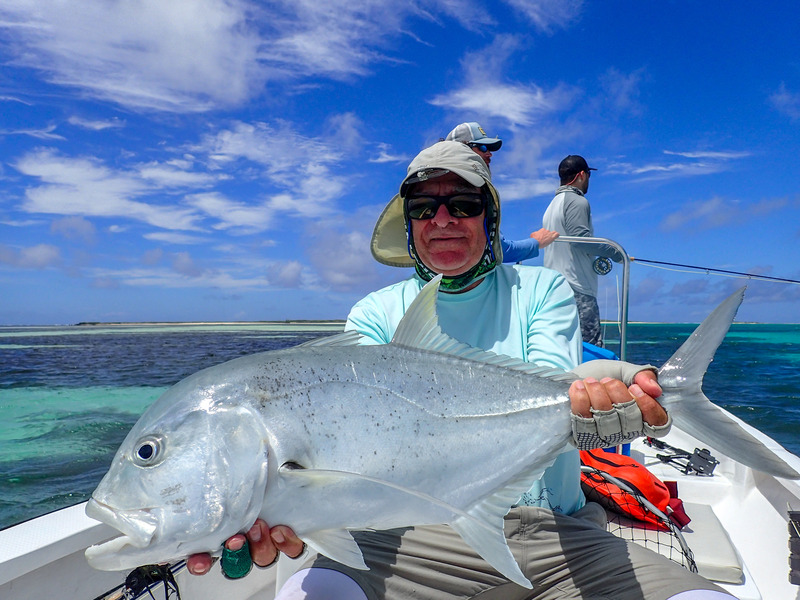 Some unbelievable Permit fishing was had but as was the case with the big GT’s, no conversions. 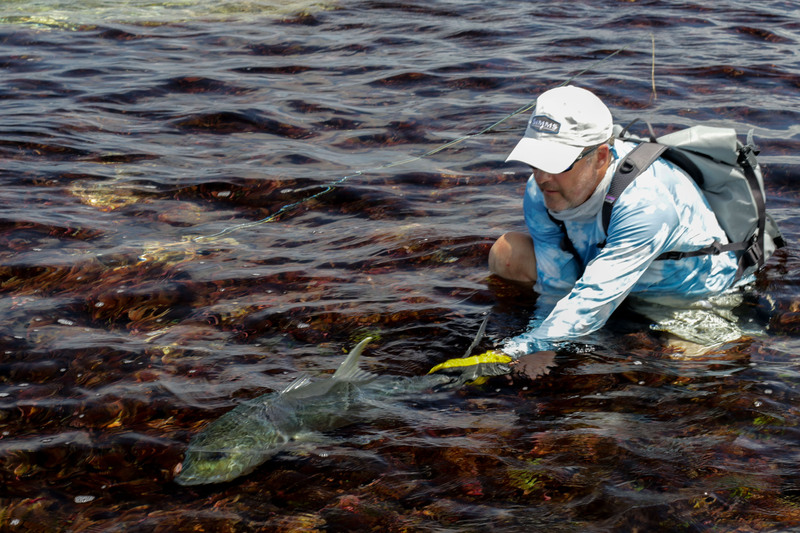 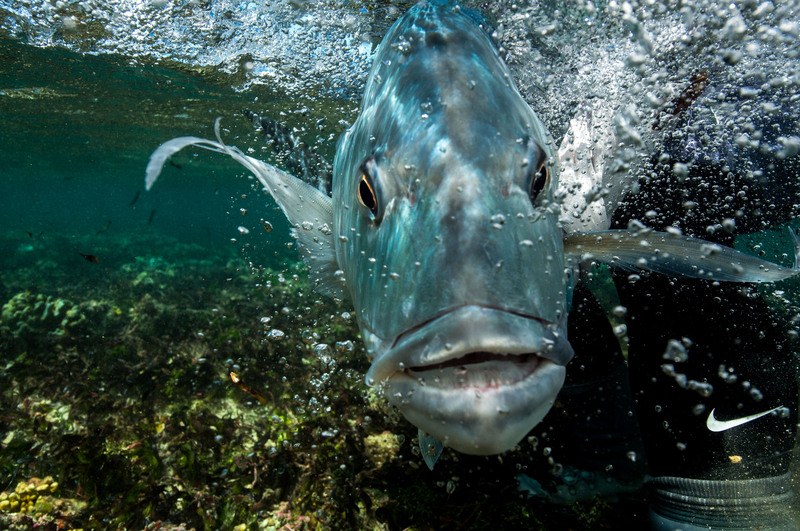 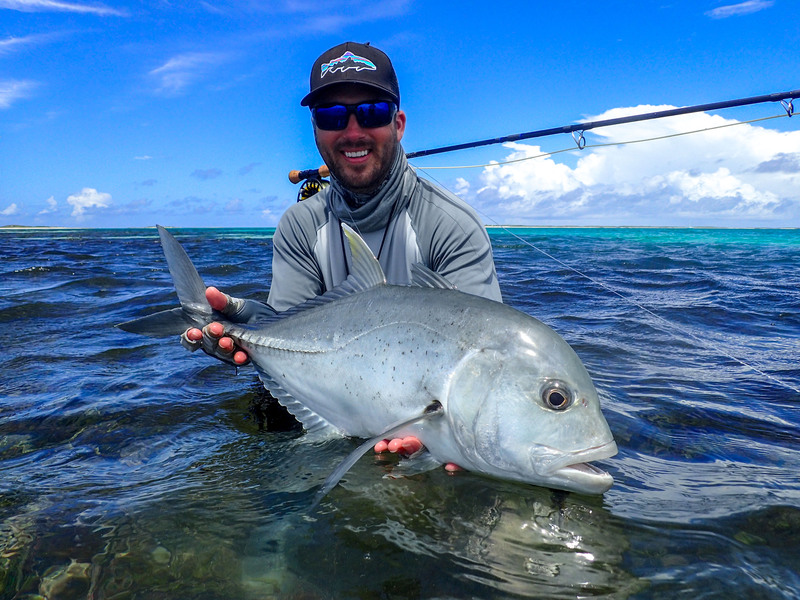 Big tailing Permit often have the uncanny ability to destabilize even the most seasoned anglers. 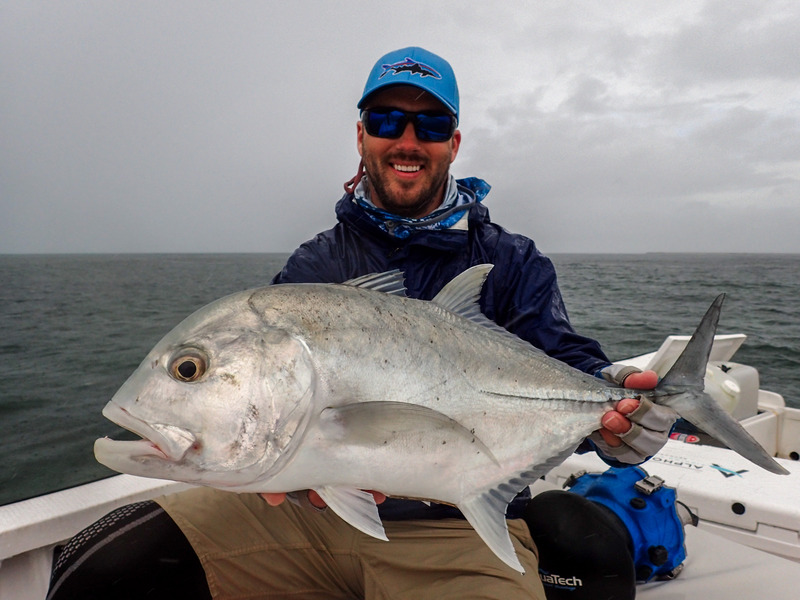 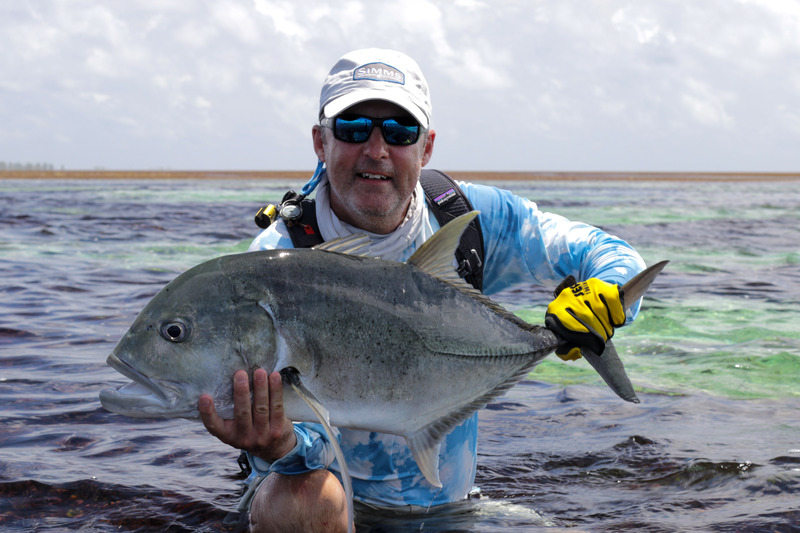 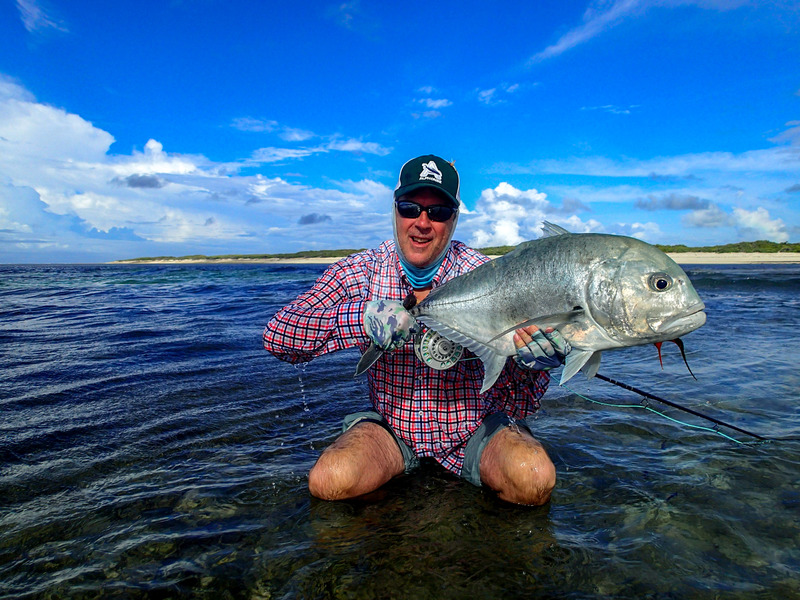 Edward H landed the biggest Giant Trevally of the week while fishing for Permit inside the lagoon. 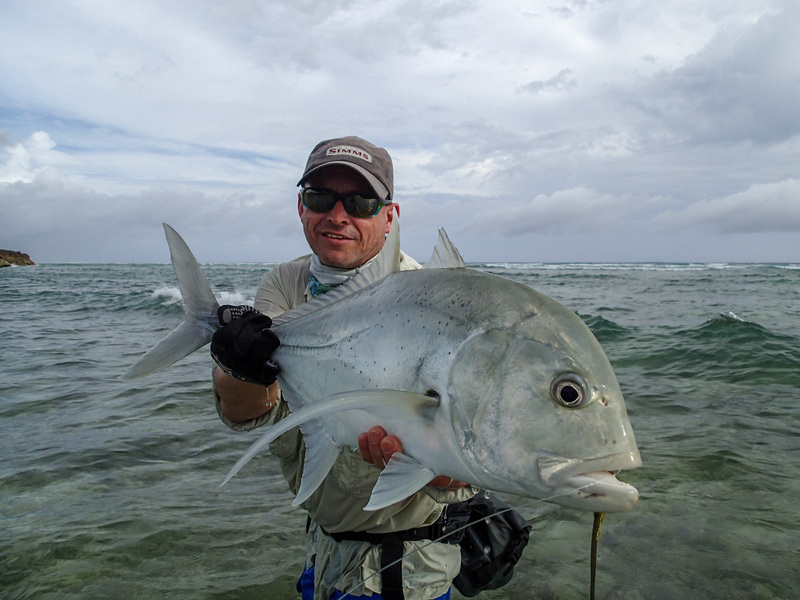 As always GTs have a tendency so associate themselves with an exciting story. 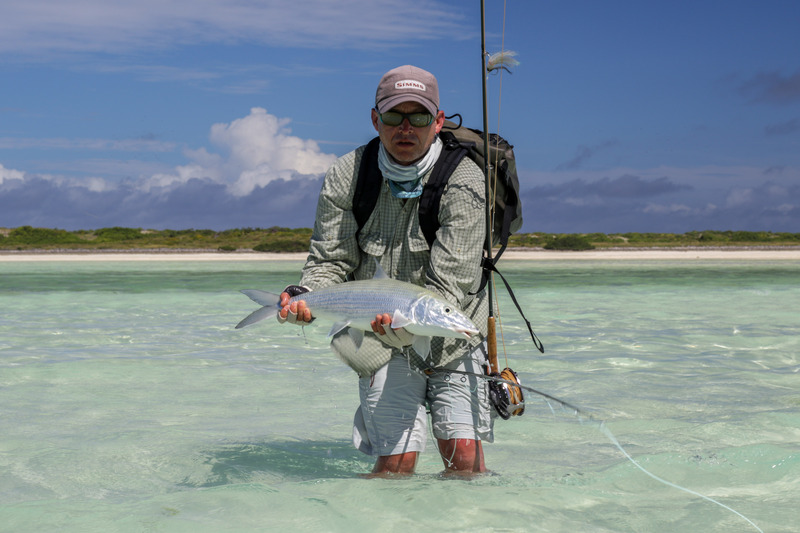 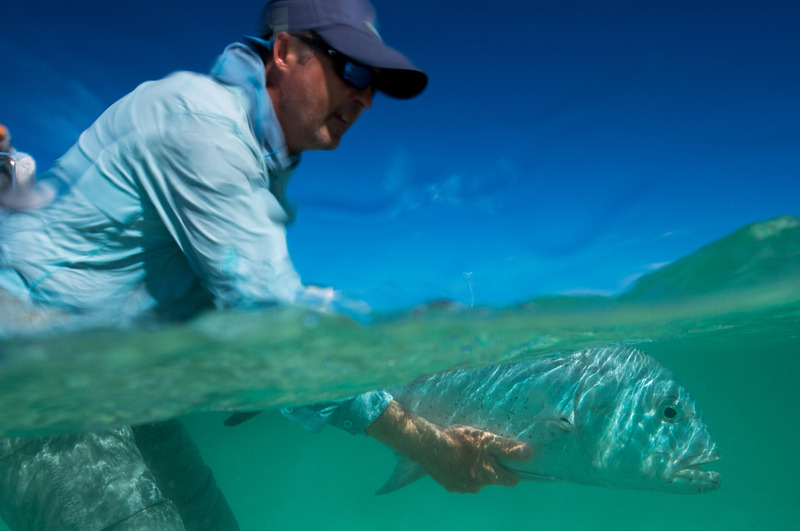 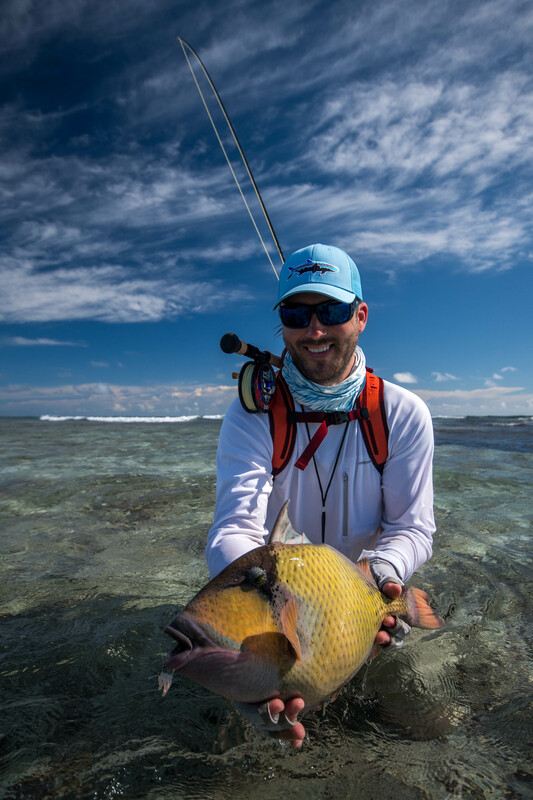 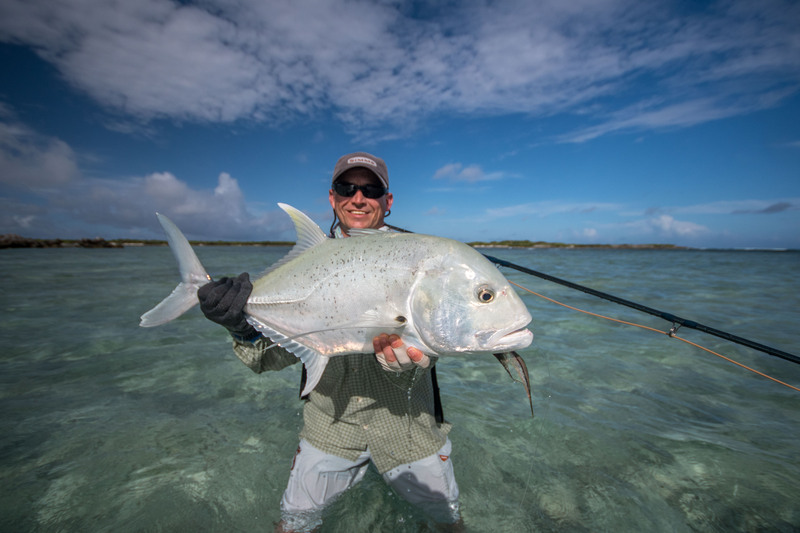 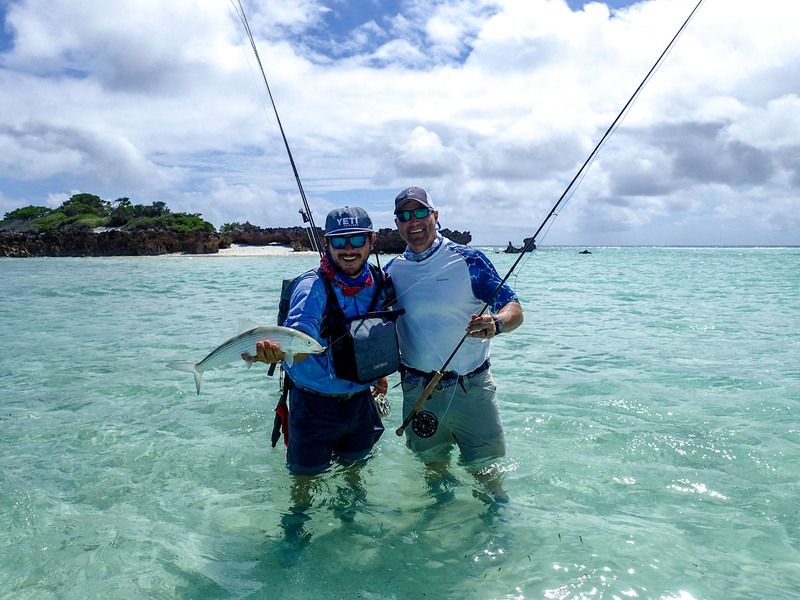 Edward’s story includes tying a 130lb leader onto a 10wt, running after the fish to undo a line wrap and in the end tailing a 93cm fish on magnificent white sand. 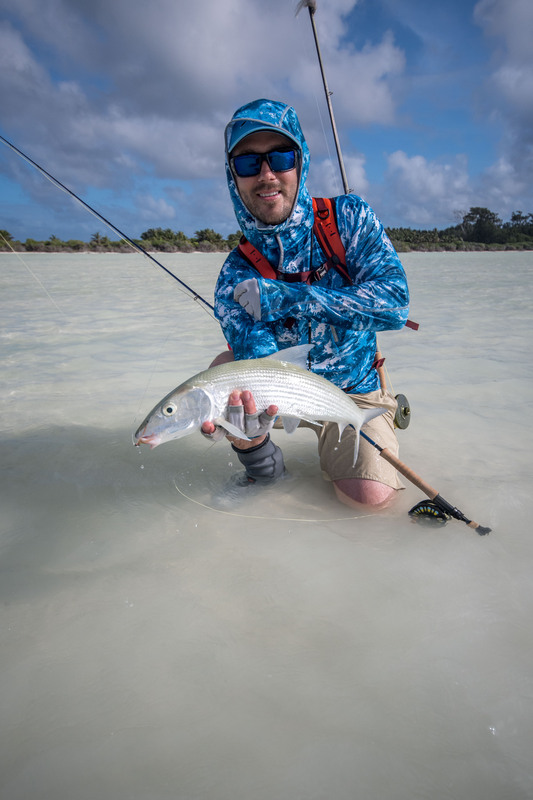 The bonefishing on Astove is remarkable, from skinny water tailing bones in the lagoon to big single fish in the surf zone. 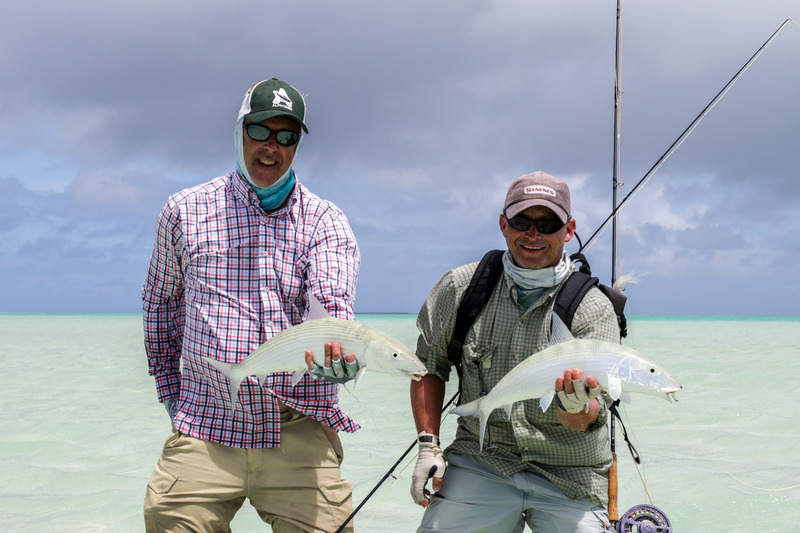 In three days six anglers landed 176 Bonefish as well as an additional four GT’s and one Moustache Triggerfish to end a memorable week on Astove.